What is the allure with a selfie? We’re used to photographing pictures of our food, surroundings and pets, so when did it become a regular occurrence to snap pictures of ourselves? The astonishing popularity of the ‘Selfie’ has sweeped across the nation and now we can spot the selfie taker anywhere, from our morning commute to our local restaurants. Should we be getting involved in the categorical rise of the internet’s hottest craze? It’s not that I’m particularly vain or think that my face is so painstakingly beautiful that it needs to be shared with the world; but I must admit, taking a selfie with the tap of a finger can be fun! And there’s a whole community of selfie cliques that I can hone in on, like an untapped resource ‘ Check out the Fragrance Direct staff image selfies above! So where has the selfie craze come from? The introduction of a smart phone with a forward-facing camera created the watershed selfie moment. 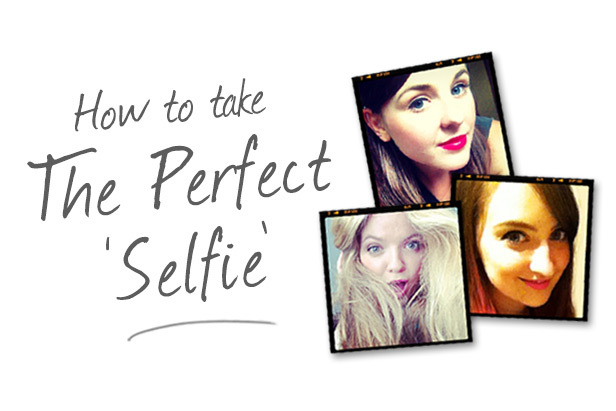 Let’s take into account why ‘selfie’ became the word of 2013. According to the Oxford English Dictionary, a ‘selfie’ is ‘a photograph that one has taken of oneself, typically one taken with a smartphone or webcam and uploaded to a social media website.‘ Unlike other internet crazes which quickly spiral and fall flat on their faces, the selfie looks like it’s set to stick around in 2014. So how has it evolved from the early days? Well, not only have selfies become a recognized form of self expression, they’re now being taken to new heights. 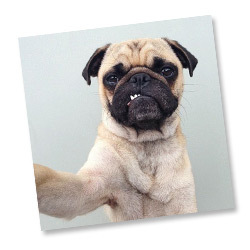 Forget face selfies, we now have body selfies, pet selfies, photobomb selfies and so much more to choose from. Let’s start with the old school selfie ‘ the simple taking face shot. So what are you going to need? Well, if you have any hope of looking like the celebs above, you’ll want to acquire a few tools! Tool Number 1 – A camera. More specifically, a smart phone (sorry all you old school Nokia users). Smart phones are your best possible option for snapping on the go. It’s a simple touch of the screen, a hit of the ‘post’ button and your selfie is ready for the virtual world to see! Tool Number 2 – A photo editing app of course. The selfie is all about filters. Mayfair, Sierra and Nashville may ring a bell if you’re familiar with Instagram ‘ the ultimate selfie friendly app. The first of its kind, Instagram gives you the ability to change lots of photo elements, from the lighting, to gradients and everything in between. There are of course lots of other photo apps you can use but Instagram is a good place to start. It’s friendly and easy to use interface is accessible to even the most techno shy individuals. So what are your next steps? We’ve rounded up 5 of them that we think you should try. We’ve rounded them up into a quick guide on how to get the best out of your selfie images, because let’s face it, we’re all guilty of taking one. That’s right. Don’t just assume that your make-up and hair are perfect ‘ CHECK IT! Otherwise you’ll find your hair in a scramble, your eye liner has smudged and you’ll still be stood in front of the camera trying to take the perfect picture half an hour later. When it comes to taking a selfie, lighting is your best friend (natural light to be exact). Stand by a window and aim to have the light hitting your natural facial features which can also help to hide blemishes! Just watch out that you don’t have the next door neighbour peeking in! Where there’s a selfie, there’s always an opportunity for a photobomb. Hilarious or just geniously annoying, it can be hard to avoid this viral trend. We’ve all seen the ultimate photo fails when a dirty pile of clothes crops up in the corner of a shot so be careful! 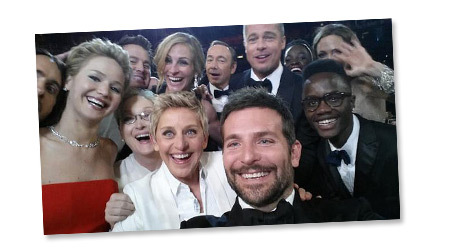 Did you check out The Oscars 2014 celebrity selfie? Well you should have by now because it became the most retweeted tweet of all time (you could say it went very viral). Taking a group selfie can be fun and can definitely set you up for your next Facebook/Twitter/Google+ profile picture. Like we mentioned earlier, there are a wide range of filters available on photo editing apps that can transform your look. Whether you’re using Instagram, Afterlight, AMB etc. there are a whole range of shades you can apply to your selfie. You could spend hours finding the right one! If you’re too shy to step in front of the camera, why not enlist the help of your pet instead? We think they take a pretty picture too! Are you a lover or a hater of the selfie craze? Let us know by leaving a comment below or you can even tweet your selfie to @FragranceDirect! Every weekend i used to go to see this web site, because i wish for enjoyment, since this this site conations genuinely nice funny information too.